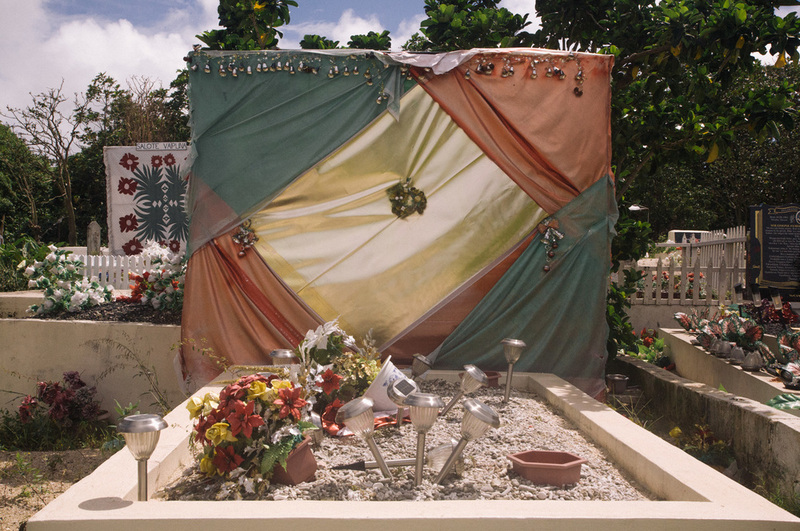 The following photos were taken at cemeteries around Tonga. The graves are meticulously decorated and maintained by family members. These photos were taken the day after a very intense hurricane with gail force winds, so any torn or askew decorations should be noted as abnormal. Unfortunately, I was only in Tonga for a couple of weeks, so my point of view is as a tourist. I really stood out- at the time I had very long hair, was thin, and walked around with my mom- all of which are not typical on the island. 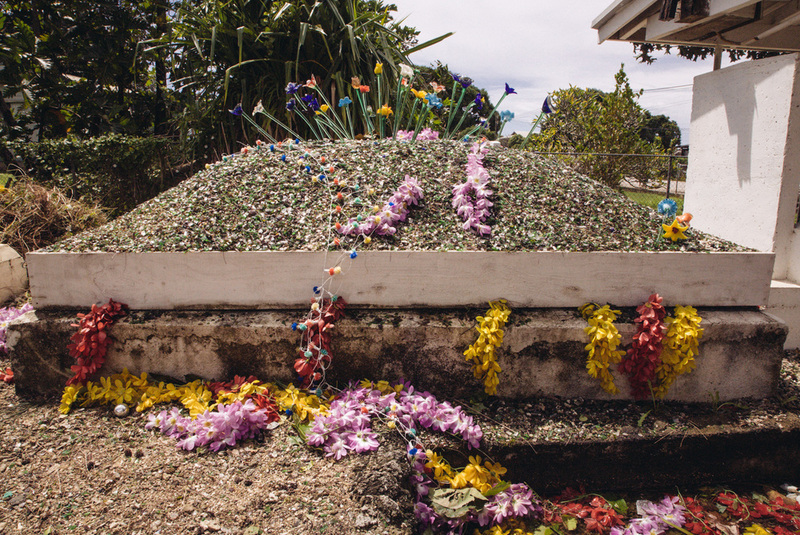 Traditionally Tongan graves are decorated with sand and coral, but in modern times broken glass, pageant materials, blankets, and plastic flowers are more common. At night some of them light up with blinking Christmas lights.